As society continues to move towards more sustainable and environmentally friendly solutions in nearly every area of life, we in the landscape architecture industry have turned our attention to integrating solutions that require less water, fertilizer and ongoing maintenance. 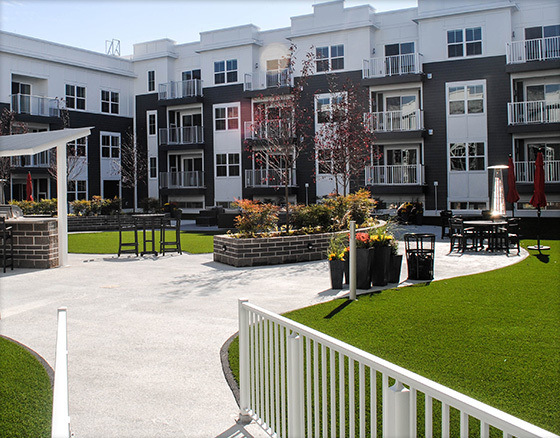 Partnering with XGrass, a leading developer and installer of synthetic turf systems, we are able to design innovative, low maintenance solutions that truly blend into their environments. 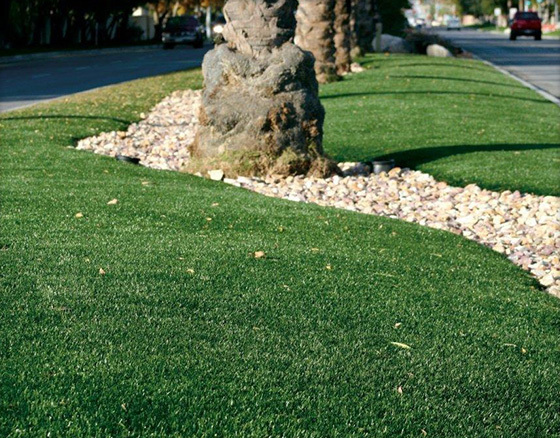 XGrass turf systems feature innovative thatch and realistic blade profiles that reduce the reflective quality of the fiber allowing the grass to truly mimic a healthy, well-trimmed, natural lawn. Perhaps nothing detracts more from a pleasant landscape environment than grassy areas that turn into mud and mulch areas that go bare or spread into their surroundings. 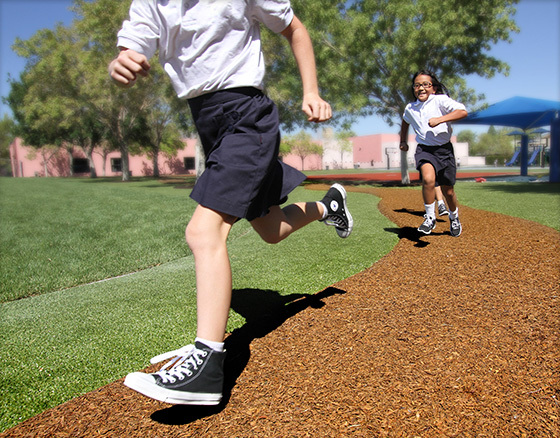 Utilizing synthetic turf solutions from XGrass and bonded rubber mulch from Play It Surfacing, we can design courtyards and walkways that stay clean. Maintaining medians along busy roads and parking lots presents significant challenges to those responsible for their upkeep and appearance. By blending rock, mulch and other hardscape solutions with realistic synthetic turf system from XGrass, we can create aesthetically pleasing street medians that require very little maintenance.